Gov. Chris Christie faced the spotlight again Tuesday and promised "no more breach of trust" in his annual State of the State speech. Christie opened his speech, a yearly rundown on New Jersey, with the elephant in the room: the George Washington Bridge traffic scandal. He said that his administration would cooperate with all inquiries and investigations into the controversy, and that New Jersey's citizens deserve better. 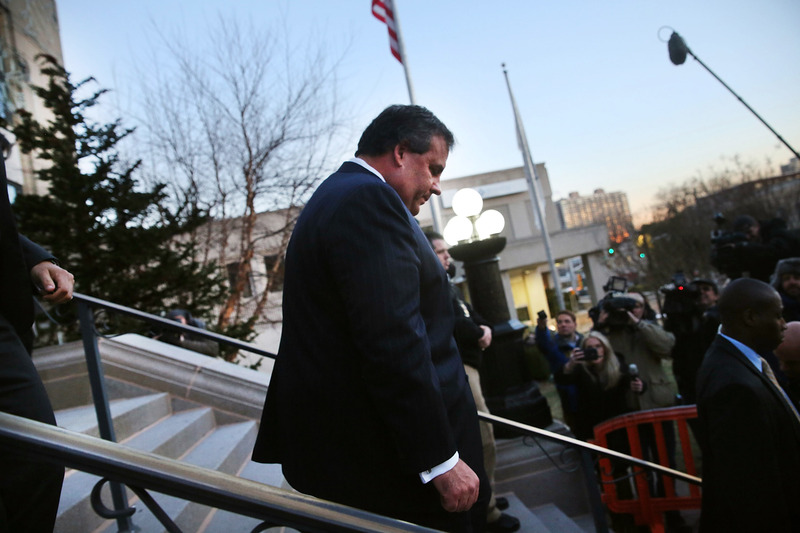 Dubbed 'Bridge-gate' by the media, the furor around Christie began after documents revealed that his staff orchestrated a nightmare traffic jam on the George Washington Bridge, which connects northern Manhattan to New Jersey, in September 2013. The lane closures on the bridge, which led emergency transport vehicles and school buses to become ensnarled in cars and traffic cones, are believed to be an act of retaliation against the mayor of Fort Lee, a Democrat, for not endorsing Christie for governor. Deputy chief of staff Bridget Kelly, who sent the email containing the now-infamous line, "it's time for some traffic problems in Fort Lee," was fired by Christie last week. But the saga is not over yet. The office of the U.S. attorney is investigating the situation, and a federal audit into the use of Hurricane Sandy relief funds in New Jersey is in the works. Christie's leadership following the disaster, his securing of federal funds, and his unique ability to gain support from Republicans and Democrats transformed him from a novelty into national figure. Until the scandal, it looked like he would ride the wave all the way to the 2016 presidential election. Christie, the new head of the Republican Governors Association, is still planning a trip to Florida this week to help raise money and profiles for GOP candidates.